Domestic violence (DV) rates in smaller cities have been reported to be some of the highest in Canada. It is highly likely that emergency department staff will come across victims of intimate partner violence (IPV) in their daily practice. The purpose of this study is to better understand current practices for detecting IPV, staff awareness and knowledge surrounding IPV, available screening tools, and barriers to questioning about IPV. in the emergency department (ED). 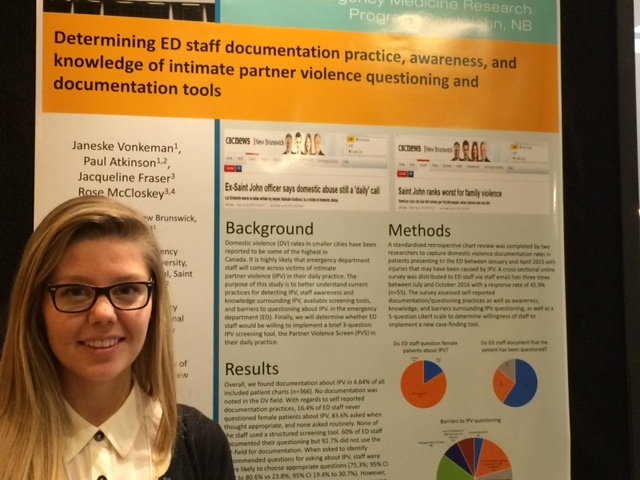 Finally, we will determine whether ED staff would be willing to implement a brief 3-question IPV screening tool, the Partner Violence Screen (PVS) in their daily practice.